This template increases instructor effectiveness and performance by collecting responses and feedback from the students they teach. 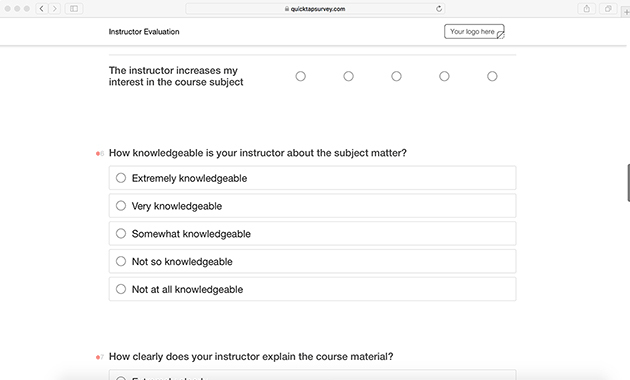 Like other feedback surveys, an instructor evaluation survey allows students to share their opinions about the instructor, course material, course content, and any other factors that could contribute to a student’s learning. 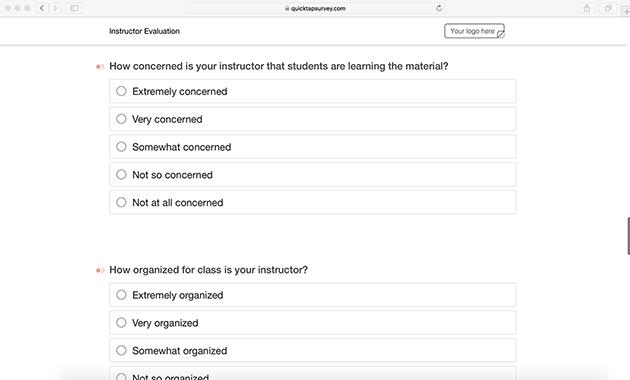 Instructor evaluation surveys are valuable resources that increase continuous improvement amongst instructors. Who Could Benefit from Evaluating Instructors? This instructor evaluation form template is perfect for any activity that is led by an instructor. 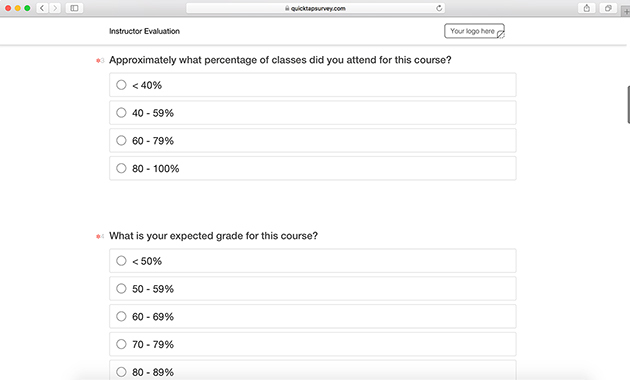 If used in a school, students can easily fill out this instructor evaluation survey in class without disrupting other classmates. 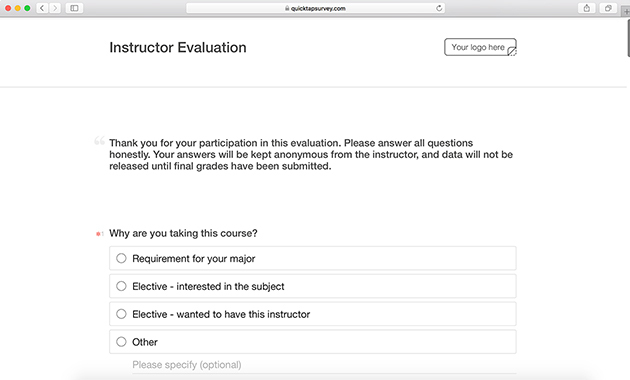 Likewise, for any general course outside of school, this instructor evaluation template can be completed offline seamlessly. 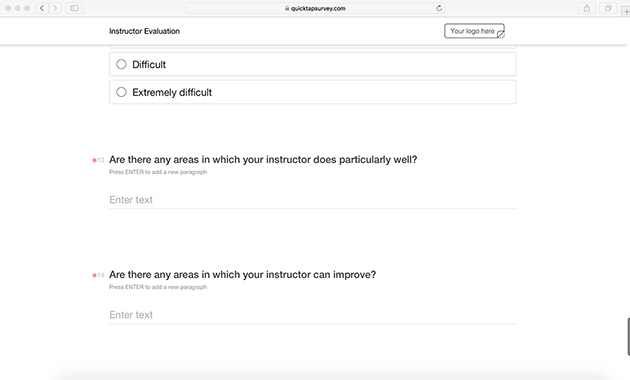 There are many benefits and potential insights to gain from collecting instructor evaluations, especially if you are using an app on a convenient mobile device or tablet. 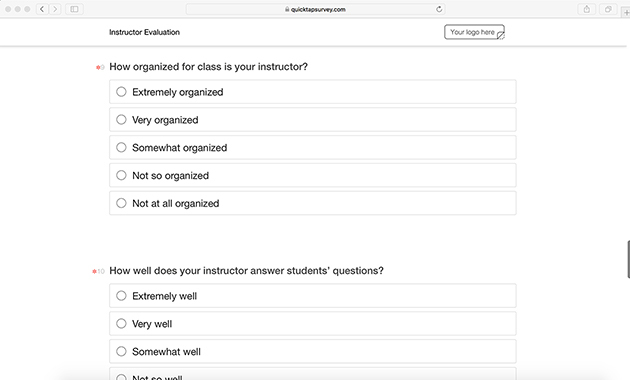 Students can anonymously provide honest, constructive feedback to the instructor. This indicates to the instructor what they are doing well and areas where improvement is needed. It also allows students to comment on the course content and assess whether it was valuable for them to learn or not. 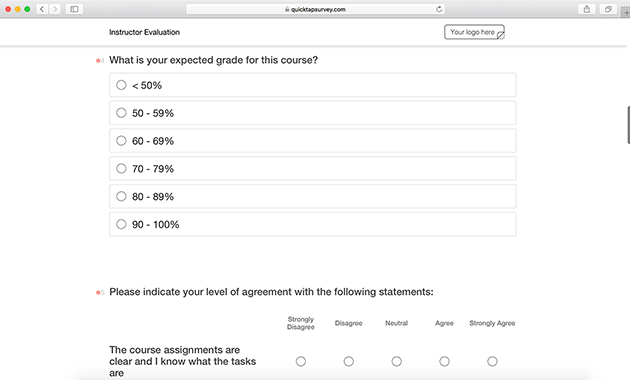 Using this instructor evaluation survey, students can also comment on the learning environment, the amount of participation, the difficulty of the course, and any other indicators that were of interest to the course organizer. 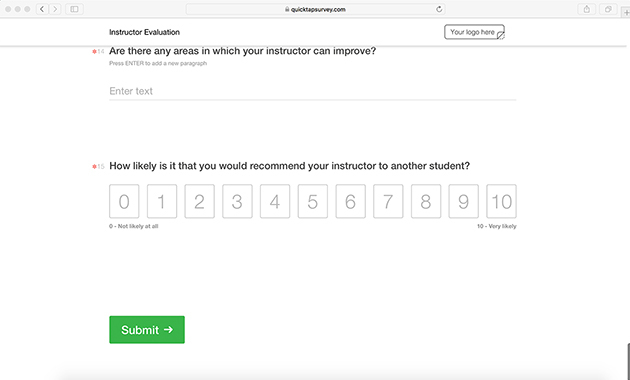 Why Use an Instructor Evaluation Survey? 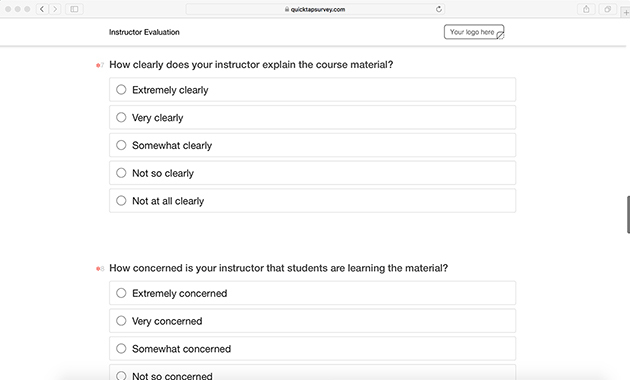 From an instructor and course content perspective, collecting feedback allows for improvement course to course. Providing feedback also allows students to voice any concerns they had during the course and highlight what they enjoyed. With a data collection app, you can make surveys quick and easy to fill out. 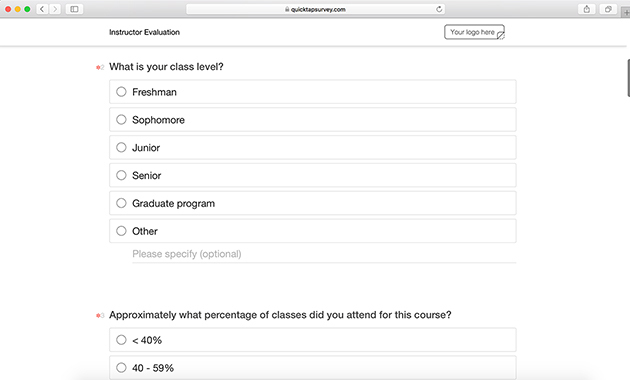 Sign up for QuickTapSurvey today to access this instructor evaluation survey and other easy-to-use survey templates.